Aria Fiction – History… the interesting bits! 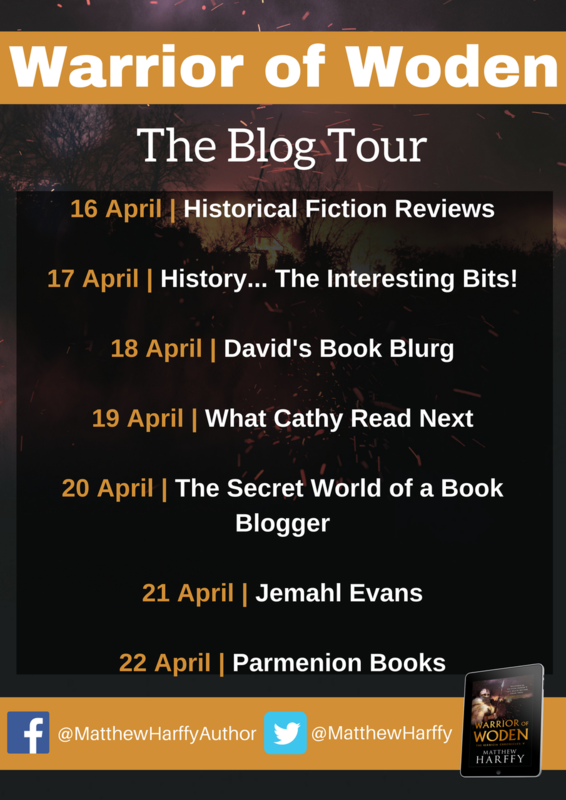 Today it is a pleasure to welcome Matthew Harffy to History … the Interesting Bits as the latest stop on his Warrior of Woden Blog Tour. “Aye,” Acennan smiled, “better than riding through rain and mud, shivering without a fire at night.” They both recalled the misery of the year before when it had rained almost every day of their month of riding along this southern border of Northumbria. All of them had been ill by the end of it, and their clothes had rotted on their backs from being constantly sodden. Attor and Cynan, who were near to Beobrand and Acennan, laughed at the memory. More men laughed at the memory. One of the few moments of that rain-drenched month that they were happy to remember. The huge stallion had not been pleased to be ridden out of its warm stable and it had thrown the Mercian youth from its back and then, when the boy sought to drag him away by pulling on the horse’s reins, the beast had attacked him. The horse had trotted back to its master’s stable. The stallion had reminded him of Sceadugenga. Beobrand and his warband had found the Mercian lad trampled and bleeding in the mud. The boy had still been dazed when they had hanged him. Acennan was happier than ever. His land prospered, as did his family. Eadgyth had borne him two fine children and Acennan doted on them all. But there was little that could be described as old or tame about him when he rode with Beobrand’s warband. Beobrand stared at the smear of smoke in the pale sky over the southern hills. He straightened his back and stretched his shoulders and arms in preparation for a hard ride. Cynan and Attor nodded and kicked their steeds into a canter that took them down the slope of the hill and quickly into the shade of a stand of elm. Acennan frowned at Beobrand, but touched his spurs to his horse’s flanks, trotting forward with the remainder of Beobrand’s gesithas. Beobrand understood his friend’s concern and he acknowledged that he was probably right in his appraisal of the situation. Surely no good could come of this. For Beobrand led his warband into Mercia. To read my review of Warrior of Woden click here. 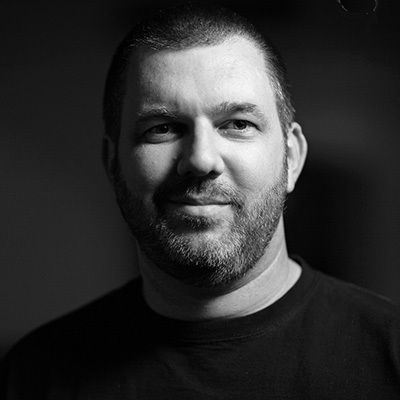 Matthew grew up in Northumberland where the rugged terrain, ruined castles and rocky coastline had a huge impact on him He now lives in Wiltshire, England, with his wife and their two daughters. AD 642. Anglo-Saxon Britain. A gripping, action-packed historical thriller and the fifth instalment in the Bernicia Chronicles. Perfect for fans of Bernard Cornwell. Oswald has reigned over Northumbria for eight years and Beobrand has led the king to ever greater victories. Rewarded for his fealty and prowess in battle, Beobrand is now a wealthy warlord, with a sizable warband. Tales of Beobrand’s fearsome black-shielded warriors and the great treasure he has amassed are told throughout the halls of the land. Many are the kings who bow to Oswald. And yet there are those who look upon his realm with a covetous eye. And there is one ruler who will never kneel before him. When Penda of Mercia, the great killer of kings, invades Northumbria, Beobrand is once more called upon to stand in an epic battle where the blood of many will be shed in defence of the kingdom. But in this climactic clash between the pagan Penda and the Christian Oswald there is much more at stake than sovereignty. This is a battle for the very souls of the people of Albion. I have had the good fortune of reading each book in Matthew Harffy’s series as soon as it has been released (and often before) and have been amazed and impressed with each one. And Warrior of Woden is no exception. This has to be Matthew Harffy’s best book yet! The Bernicia Chronicles are set in seventh century Northumbria and follow the exploits of Beobrand, a warlord from Kent who has made his home in Northumbria. In the series so far, we have watched him grow from a young fighter to one of the most feared warriors in Britain. He is loyal to his family, his followers and his king, he has loved, lost, fought and killed. Beobrand as a character is all-too human, however, every loss affects him and helps him develop not only as a leader in his world, but as a character in the book. Beobrand slapped the shoulder of the stocky man to his right. “Acennan, take command of the men.” Acennan did not speak, but nodded his understanding. “Cynan, with me,” Beobrand said, his tone a sharp bark of command. Trusting that the younger warrior would obey, Beobrand left his position in the Northumbrian shieldwall and rushed along the lines, elbowing and pushing men aside with his bulk. Cynan stared wide-eyed at him for a moment before nodding. Beobrand left the Waelisc warrior to his task and pushed forward towards the king. His stomach roiled but he took some comfort when, from the corner of his eye, he noted that the carved wood cross rose once more into the sky, casting its long shadow over the icy ground and the fyrd-men gathered there. He knew he could rely on Cynan. The erstwhile thrall had proven his worth many times over since he had joined Beobrand’s warband three years before. The shieldwall was closing ranks, regaining some order at the bellowed commands of Derian, Oswald’s battle-leader. Beobrand thanked the gods for the man. The bearded thegn knew his work. There was no warrior more doughty; none more steadfast. The shieldwall would not be allowed to break while Derian yet breathed. Two men were half-dragging Oswald back from the front of the line. The warriors, who had been pulling the king backward, paused, unsure of themselves. They relaxed their grip on Oswald. His legs buckled and he almost fell to the cold earth. Beobrand leapt forward and caught him. Around them, men shuffled back to make room for their king. After years of warfare, Beobrand has seen almost everything, but the world still has a few surprises for him and in Warrior of Woden, he sees some of the worst humanity can do. Matthew Harffy does a remarkable job of seamlessly fitting Beobrand into the timeline of actual events, whilst giving him a story that is entirely his own, so that the reader cannot discern where history ends and fiction begins. Each character has their own distinguished style, in language, fighting and his relationship with Beobrand. Beobrand’s enemies are as individual as his friends; each relationship is well thought through and unique. You find yourself thinking ‘I knew Beobrand would react like that’. As the chief protagonist, Beobrand is a hero we can all relate too. He is a strong, confident leader in battle, trusted by his men to not throw their lives away needlessly. He leads his men to victory but worries that he it’s not a good father and knows he could be a better boyfriend. Some things have never changed down the centuries! He has his foibles, which is want makes him believable and likeable as a hero. Warrior of Woden is that it immerses the reader in the era. The language the author uses invokes the time period without being archaic, leaving the reader with a deep sense that they have been transported to the seventh century. You can almost hear the clash of swords, shields and axes, smell that tang of blood in your nose. The fighting is vicious and brutal, but the relationships between Beobrand and his men, and Beobrand and his family, create a dual story of men at war and men at home. This book has that ‘je ne sais quoi’ which makes it impossible to put down. From the first page, the action is non-stop, the intrigue and action keep you hooked to the very end. To put it simply, The Bernicia Chronicles get better and better with every instalment – and I am desperate to read the next. Books in the series: Serpent Sword; The Cross and The Curse; Blood and Blade; Killer of Kings and the short story, Kin of Cain. 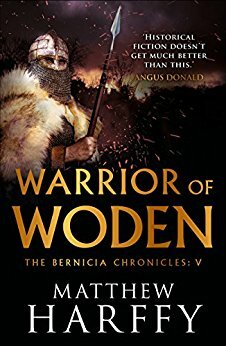 Warrior of Woden, Book 5 in the Bernicia Chronicles, is available from 1st April 2018, on Amazon. 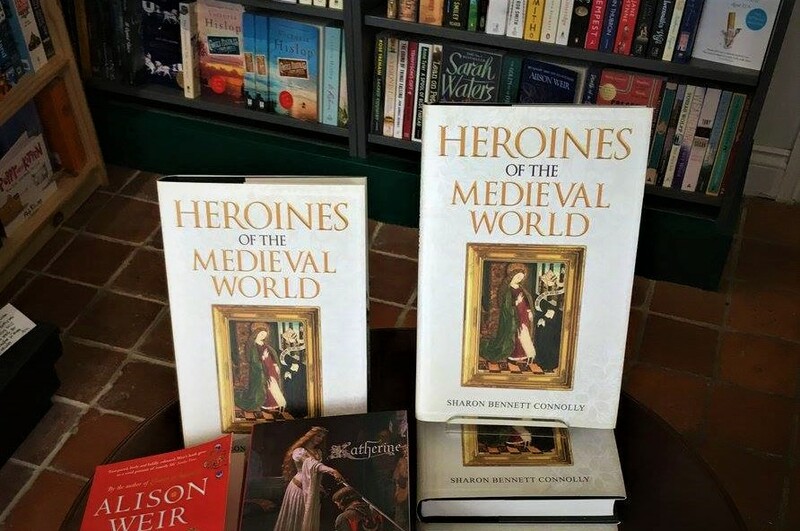 Heroines of the Medieval World, is now available in hardback in the UK from both Amberley Publishing and Amazon UK. It is also available on Kindle in both the UK and USA and will be available in Hardback from Amazon US from 1 May 2018. It can also be ordered worldwide from Book Depository.